While the Yemeni riyal is still falling against the dollar and other foreign currencies to no avail economic treatments announced by the so-called legitimate government in exchange for accusations between it and the Houthis controlling the capital Sana’a, and all are gambling at the expense of the suffering of the people of Yemen and killing them, whether by wars or famine or diseases where the price of the US dollar had reached more than 700 Yemeni riyals in light of the conflicts and wars in Yemen between the strugglers who achieve the interests of their colonial masters, especially America and Britain, the two countries fighting for influence and wealth (resources) in the country, although salaries are suspended in most of the country’s provinces, especially areas under the control of Houthi militias who have tampered with the funds for their war effort, in addition to the disruption of services and unemployment and the lack of export of oil, gas and other resources of the country. And corruption is rampant; whether under the control of the so-called legitimate government or under the control of the Houthis. It is a situation where both parties do not hold the authority for decision-making. This is in addition to the frenzied rivalry between Saudi Arabia and the UAE over the country’s resources and its ports, where the UAE controls the ports of southern Yemen and a gas project in Balhaf, while Saudi Arabia is working to build an oil pipeline in the territory of Al-Mahra to transport oil to the Arabian Sea. 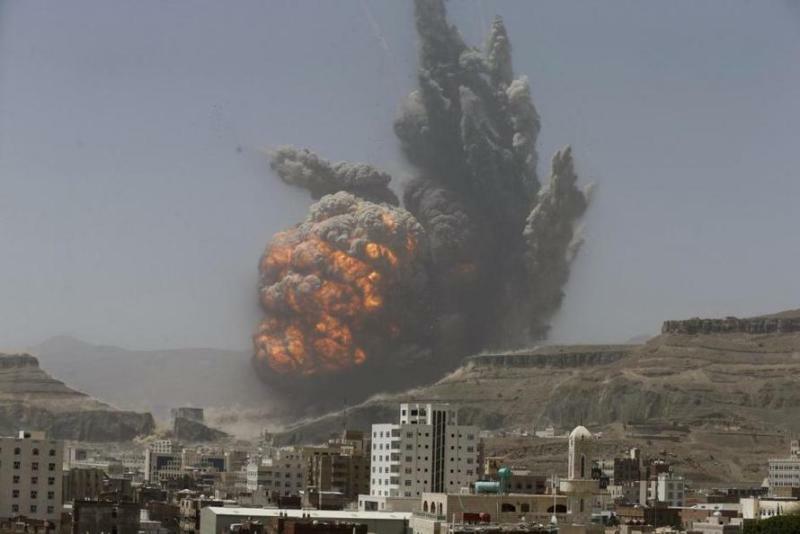 Thus, Yemen has become coveted by its greedy masters and colonizers while its people suffer the misery and desolation and are attacked by the fires of their evil wars. The two countries, Saudia and the UAE, which are waging a war under the name of the Arab coalition against the Houthis, who are receiving support from Iran, have divergent interests and are not concerned about the people of Yemen and their sufferings. This is the reality of the conflict in Yemen and all the fighters who deserve to be exposed and defamed. We in the Women’s Section of the Central Media Office of Hizb ut Tahrir call on all our Muslim sisters in the world to recognize this plight that has afflicted Yemen and its people, so as to hasten to work with us to establish the Khilafah (Caliphate) based upon the method of the Prophethood for it alone will protect this Ummah, cut off the hand of colonial interference in our lands and ensure food, medicines, shelter and security for every citizen under its rule. Without it our Ummah will continue to suffer all kinds of calamities, and its enemies will remain immune from punishment and retribution. We say to our dear sisters and children in Yemen … your suffering will not last long by the permission of Allah (swt). All those who committed these horrendous crimes against you will be held to account by the Khilafah in this world, and face the torment of Allah which is much worse and everlasting.